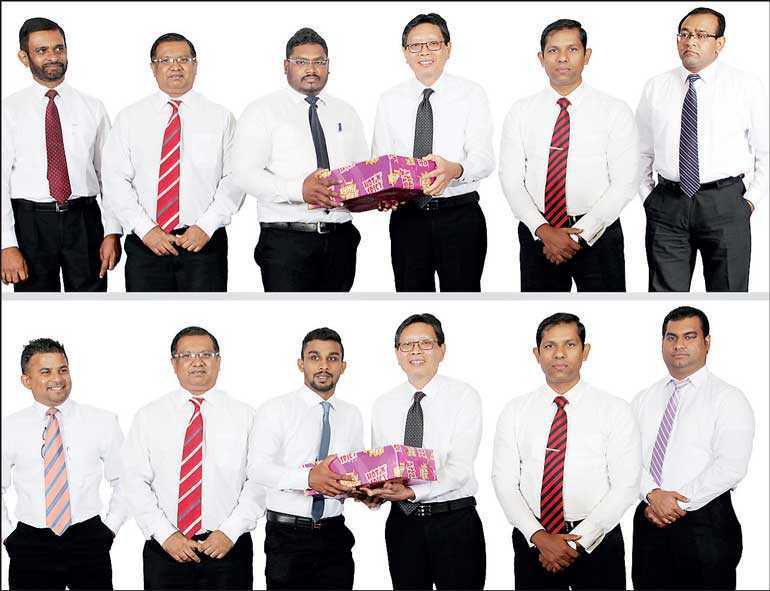 Over 275 members of the dynamic sales force of Ceylon Agro Industries Ltd.– Pima Group Sri Lanka gathered together recently at the Hotel Ramada in Seeduwa, for the annual National Sales Conference. The primary focus of the conference was to recognise the top sales achievers for 2018, selling some of the most popular and successful consumer brands in the country from all categories of Ceylon Agro Industries (Prima Group – Sri Lanka) – noodles, bread, value added meat products, dairy and tea. Presenting the awards were Ceylon Agro Industries (Prima Group – Sri Lanka) General Manager Shun Tien Shing, Ceylon Agro Industries (Prima Group – Sri Lanka) Deputy General Manager Sajith Gunaratne, Senior Business Manager Donavan Ondaatje, Business Development Manager Indika Dissanayake, Value-Added Meat Products category Sales Manager Gaya Cumarathunga, Food Services Sales Manager Eranga Wijesingha and Ceylon Agro Industries (Prima Group – Sri Lanka) Modern Trade Manager Namal Wijekone.